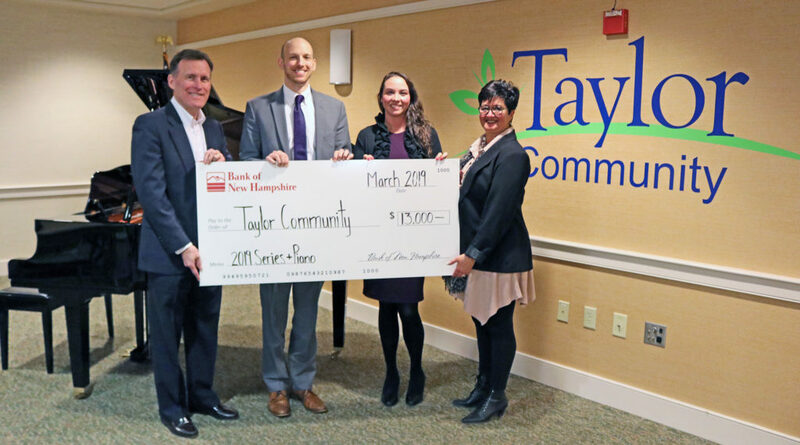 Bank of New Hampshire has donated $13,000 toward the purchase of a new Yamaha baby grand piano at Taylor Community. Since the Taylor Concert Series began in 2013, BNH has been an annual sponsor. The program presents free monthly concerts with high caliber musicians for the enjoyment of both Taylor Residents and the local community. 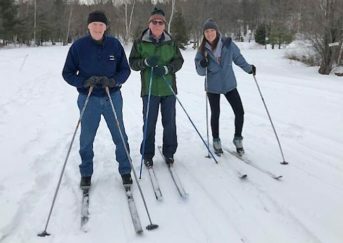 Shown in the photo are left to right: Michael Flaherty, Taylor Community President/CEO; Chris Walkley, Vice President, Commercial Loan Officer, Bank of New Hampshire; Tiffany Baert, CFMP, Marketing Officer BNH and Brenda Kean, Taylor’s Resident Life Director.